the galleys arrive. | these vagaries. Now for the moment things appear to be going very badly with me, and this has been so for a considerable time already, and may continue so in the future for a while; but after everything has seemed to go wrong, there will perhaps come a time when things will go right. I do not count on it, perhaps it will never happen, but if there should come a change for the better, I would consider it so much gain, I would be contented, I would say: at last! you see there was something after all! 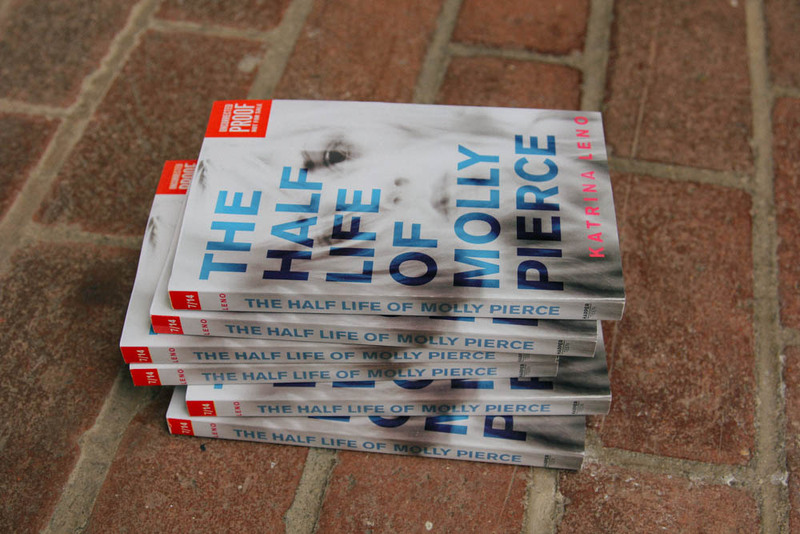 This entry was posted in Fiction, Writing and tagged advance reader copy, arc, books, cover reveal, fiction, galleys, mystery, suspense, the half life of molly pierce, ya fiction, ya lit, ya literature, young adult literature. Bookmark the permalink. ← a lost roll of film.